Topical vitamin C smooths the skin and helps prevent skin damage. Patricia K. Farris, M.D., conducted a study at Tulane University School of Medicine that concluded topical vitamin C was effective at "promoting collagen synthesis, photoprotection from ultraviolet A and B, and lightening hyperpigmentation." The results of the study were published in the journal "Dermatologic Surgery" in 2005. The problem with vitamin C creams is that they have a short shelf life. Vitamin C quickly degrades and becomes ineffective once dissolved in liquids. 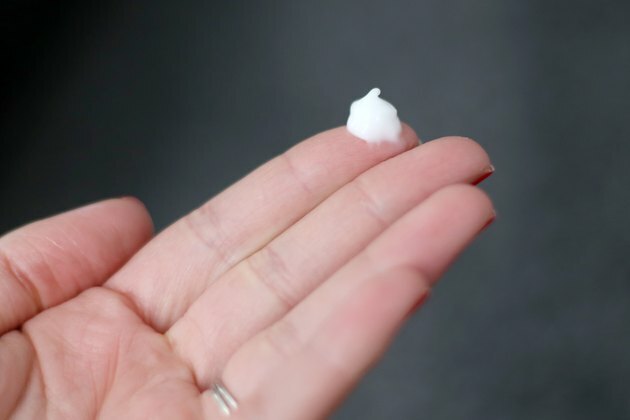 You can make homemade vitamin C cream more cheaply than buying it in a store, and you can make it in small batches so that it is always fresh and effective. Stir in 1/2 tspn. powdered L-ascorbic acid -- a stable form of vitamin C -- with 1/4 cup of your favorite store-bought or homemade face cream. 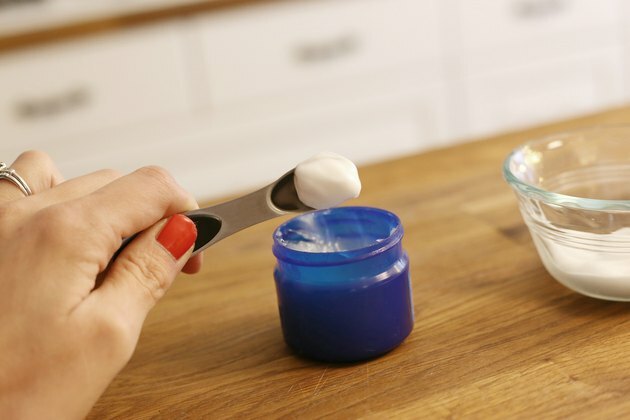 You can make a simple homemade face cream by whisking together 3 tbsp. aloe vera gel, 1/2 tbsp. vegetable glycerin, 1 tspn. vitamin E oil and 1/2 tspn. powdered vitamin B3. 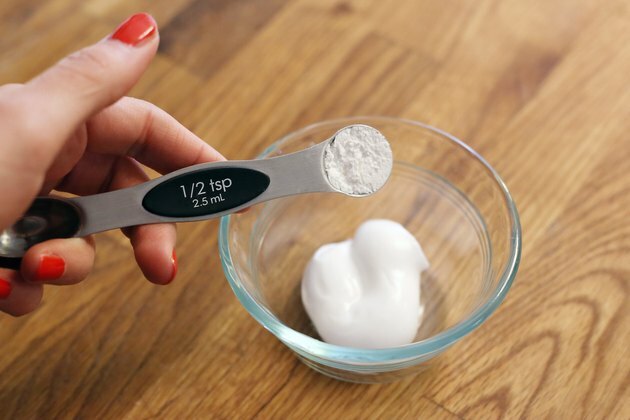 This recipe makes 1/4 cup of face cream. Add a preservative such as potassium sorbate or grapefruit seed extract to your homemade face cream base, if desired. Refer to the preservative manufacturer's instructions to determine the proper amount to add to your face cream. Pour your vitamin C face cream into a dark glass container to keep light from spoiling the mixture. Store the cream in the refrigerator if you used a homemade cream base that does not contain a preservative. Apply a thin layer of the vitamin C cream on your face after cleansing and before you apply sunscreen and makeup, once or twice a day. If you are new to using vitamin C products, start with once a day and increase to twice a day after two weeks, if desired. Discard the vitamin C cream after two weeks, or earlier if the cream turns yellow. The yellow discoloration means the vitamin C has oxidized and is no longer effective. 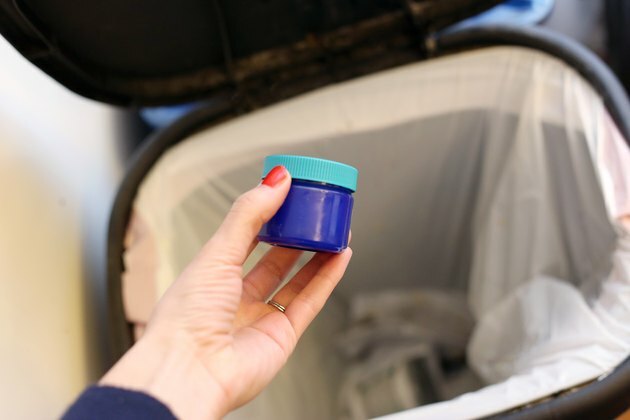 Look for aloe vera gel, L-ascorbic acid, vitamin E oil, powdered vitamin B3, potassium sorbate, grapefruit seed extract and dark glass containers at online cosmetic supply ingredient stores. Vitamins E and B3 increase the effectiveness of your vitamin C face cream. Vitamin E reduces UV damage, and vitamin B3 reduces skin discolorations. Vitamin C face cream may cause a slight stinging sensation for a few minutes after application. If the stinging sensation is severe or does not go away after a few minutes, wash the cream off. Reduce the frequency of application to once every other day if the vitamin C cream causes skin dryness or mild irritation. Discontinue use altogether, and see a doctor if you experience severe or prolonged irritation after using a vitamin C cream.